Risparmia $100.00 scegliendo ora questa opzione. With the CM-CIC / Monetico p@yment in several instalments (Nx) module, you can accept credit and debit card purchases in several payments with no fees. With this simple, fast, and secure solution, you can win over more customers by giving them the option to split their payment into 2, 3, or 4 smaller payments. The use of this module requires a paying subscription with CM-CIC / Monetico. For more information, please get in contact with your bank advisor. With this module, you can accept credit and debit card transactions at your store once you've created a merchant bank account with Crédit Mutuel or CIC. 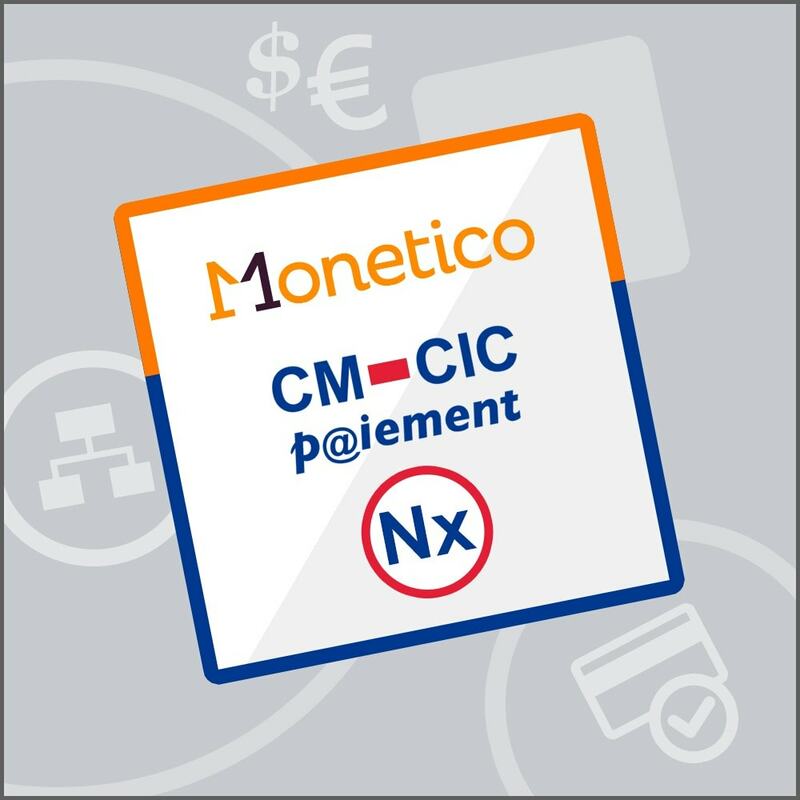 CM-CIC / Monetico Nx lets customers pay over two, three, or four payments. 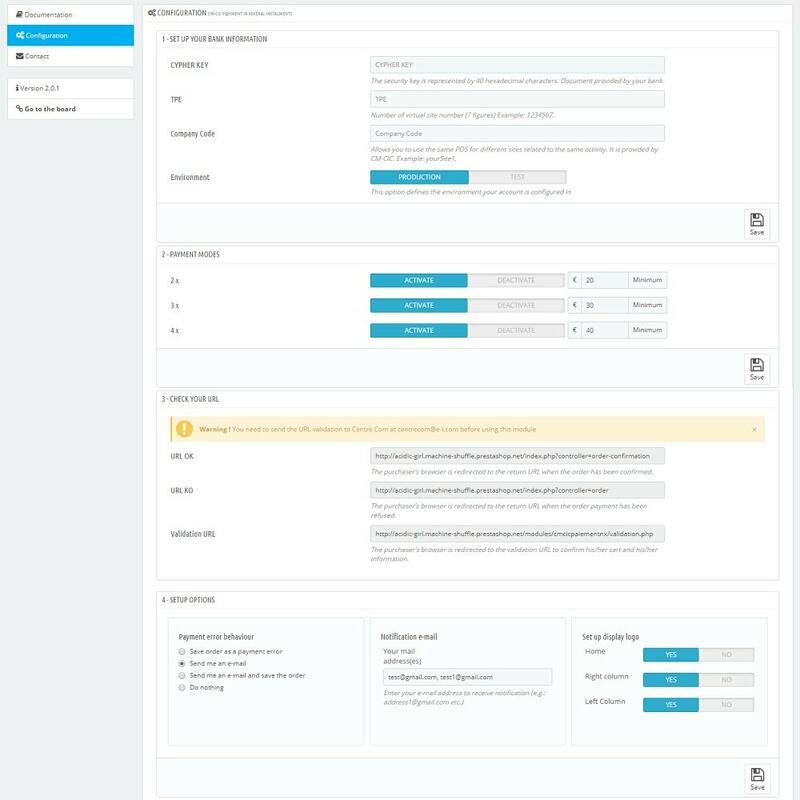 If you also want to let your customers pay with their credit or debit card in one payment, take a look at the PrestaShop CM-CIC / Monetico P@iement module, developed by the PrestaShop Addons team. Note: this module is not compatible with Delivery Dates Wizard module. Information related to the General Data Protection Regulation (GDPR): this module uses an external service, thus its compliance with this European regulation depends on the compliance of the involved service. We invite you to contact CM-CIC / Monetico directly for more information. With the CM-CIC / Monetico p@yment in several instalments (Nx) module, you can accept credit and debit card purchases in several payments with no fees. With this simple, fast, and secure solution, you can win over more customers by giving them the option to split their payment into 2, 3, or 4 smaller payments. The use of this module requires a paying subscription with CM-CIC / Monetico. For more information, please get in contact with your bank advisor. Accept bank card payments in your online shop with the CM-CIC / Monetico p@yment module! 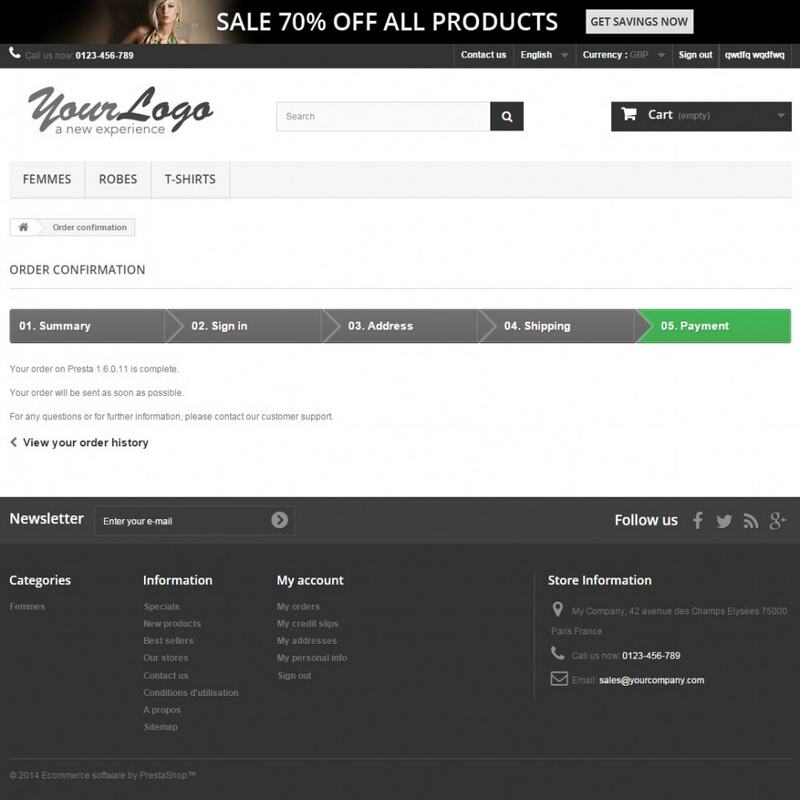 This very popular means of secure payment reassures your customers when they make their purchases in your shop, helping to optimise your conversion rate. The use of this module requires a paying subscription with CM-CIC / Monetico. For more information, please get in contact with your bank advisor.